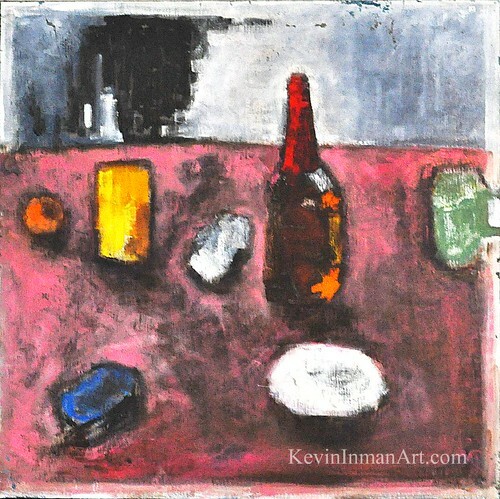 Kevin Inman is a landscape painter in San Diego, CA. Leaving the pet sitting house today. I think my cat is going to miss the birds in the canyon. Here's a closeup of the older painting of mine- probably from 2008 or so. 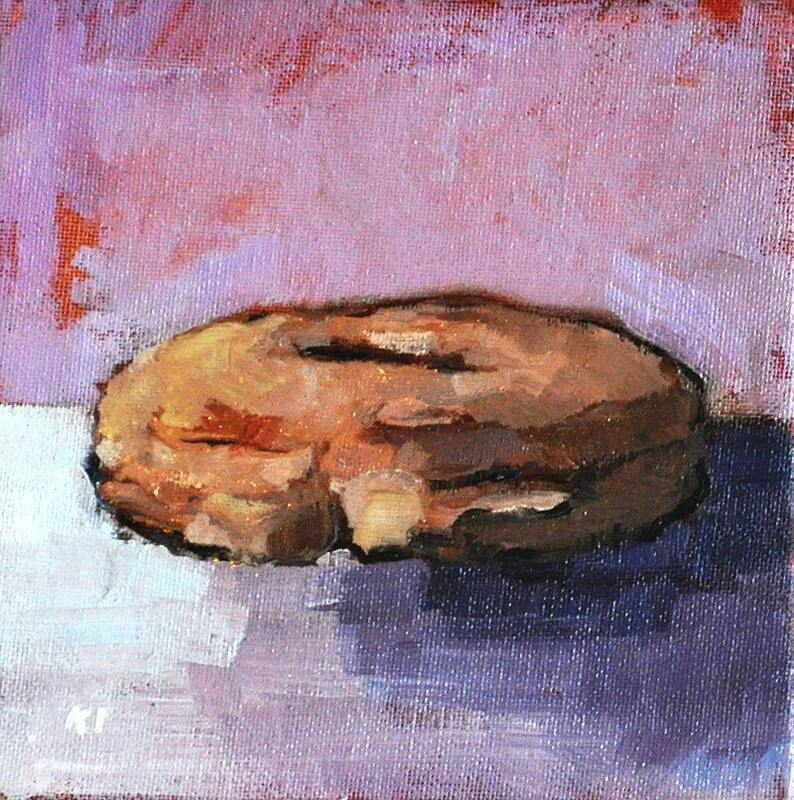 This piece is 24 x 24 inches. I used to work much larger than I currently do. I mean, I do still do the occasional large painting for a commission- big paintings can really breathe life into a room- but I've been into small-scale works in a big way for at least a year now. Sometimes I still feel the urge to paint six foot canvases though! Maybe of San Diego Brutalist architecture, which has caught my eye lately. I remember with this painting I felt very bold and rebellious for using black out of the tube. It was Utterly Forbidden when I was in art school. OK, going to pack things up and head out. 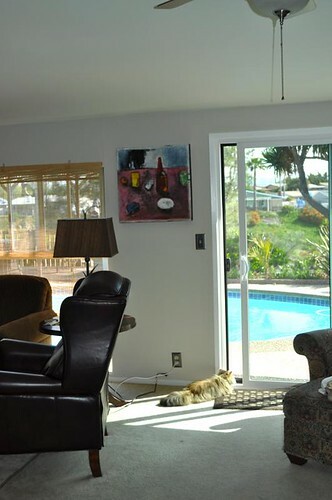 I am itching to get to my easel. 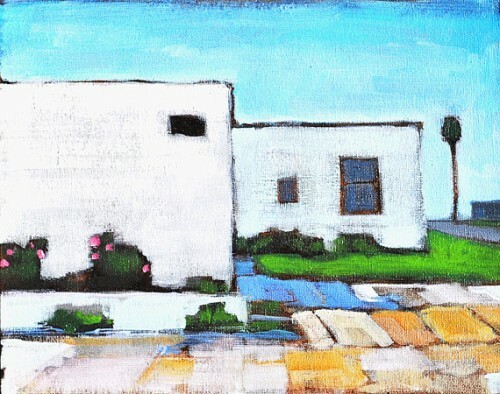 Urban Landscape, San Diego - Oil Painting This house and the garage- in the foreground- are Mission Revival in style, but due to the vantage point from the alley, they look like modernist white boxes. It is a strange but wonderful place. The front and sides are all different colors- pink and light green and taupe and beige for the different sides of the house and detached garage. But all close to pale so you don't see it at first. After the recent rains, the yard is a green and gold carpet of California wildflowers. 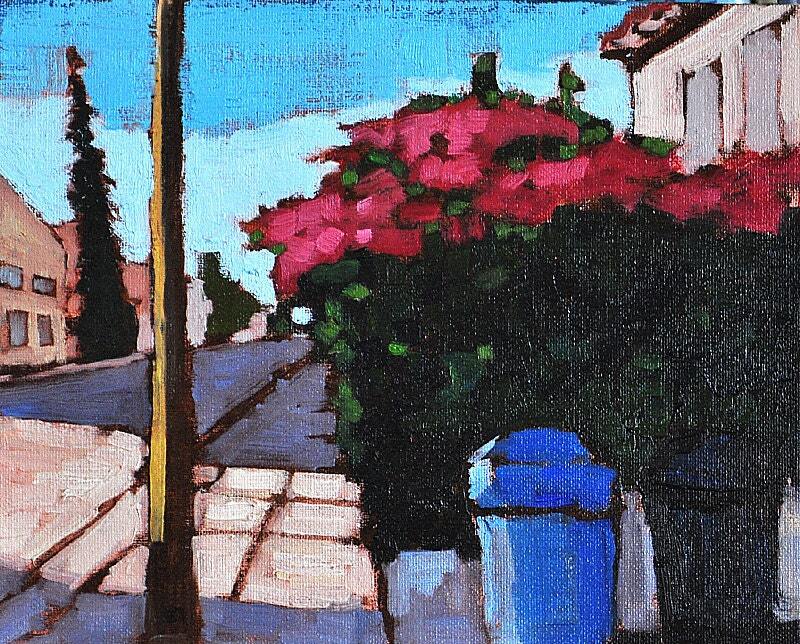 Urban Landscape, San Diego - Oil Painting is for sale. 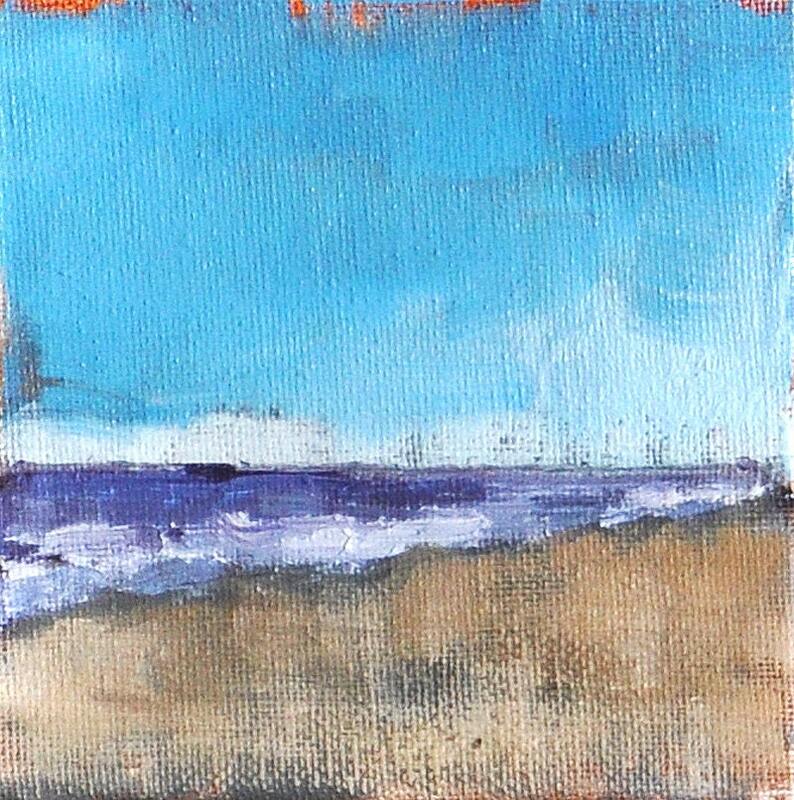 Original oil landscape painting of the purple Pacific Ocean, rolling white surf, and flat pale sand of Ocean Beach in San Diego, California. 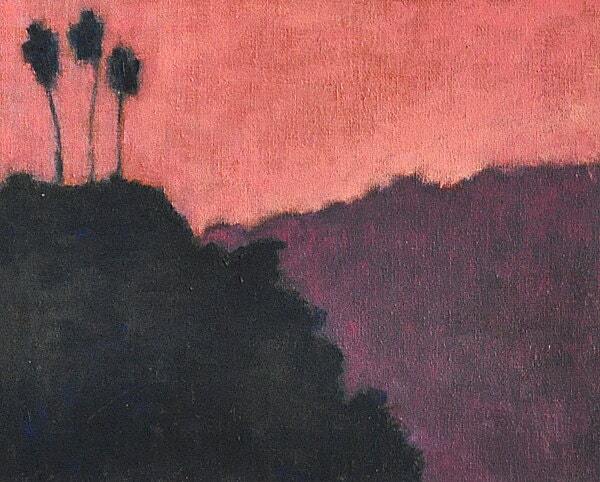 I painted this from a pastel sketch while walking on the beach in the early evening, just before sunset. Such a beautiful evening. 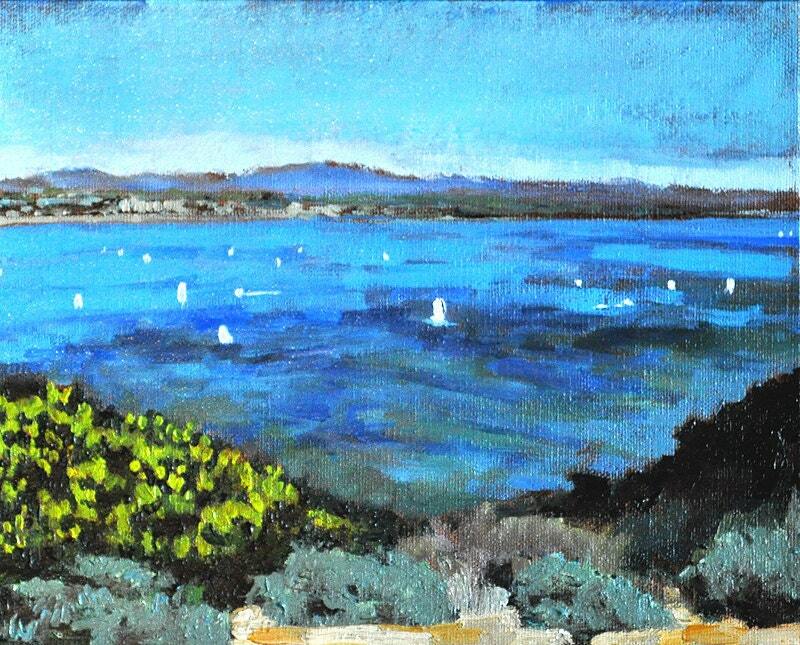 Ocean Beach, San Diego landscape painting is for sale. 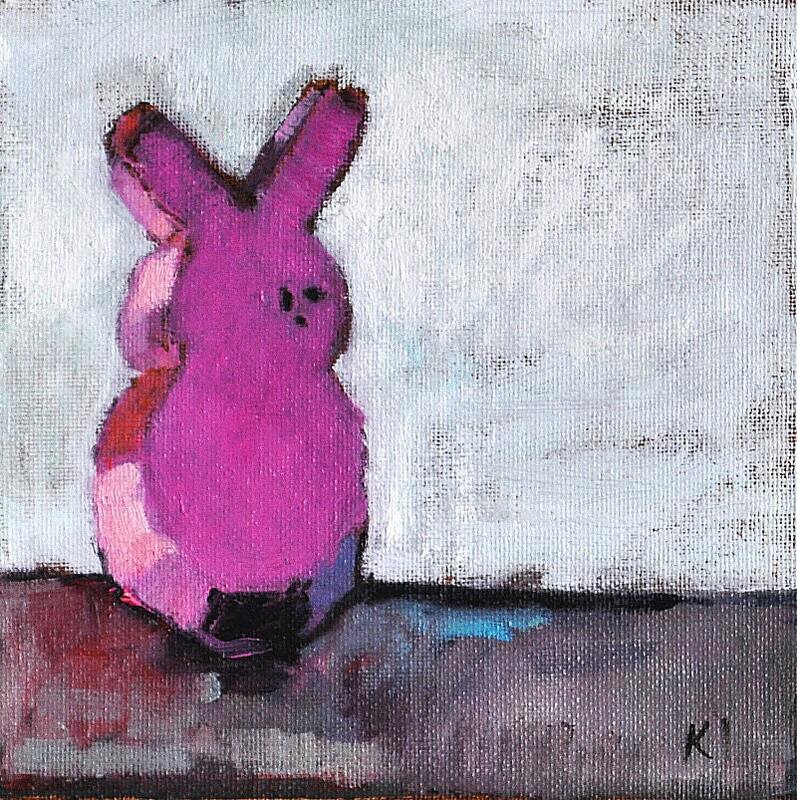 Still life painting of a pink bunny Easter marshmallow Peep leaning against the wall. Or is this Easter Peep standing alertly? I'm not sure. 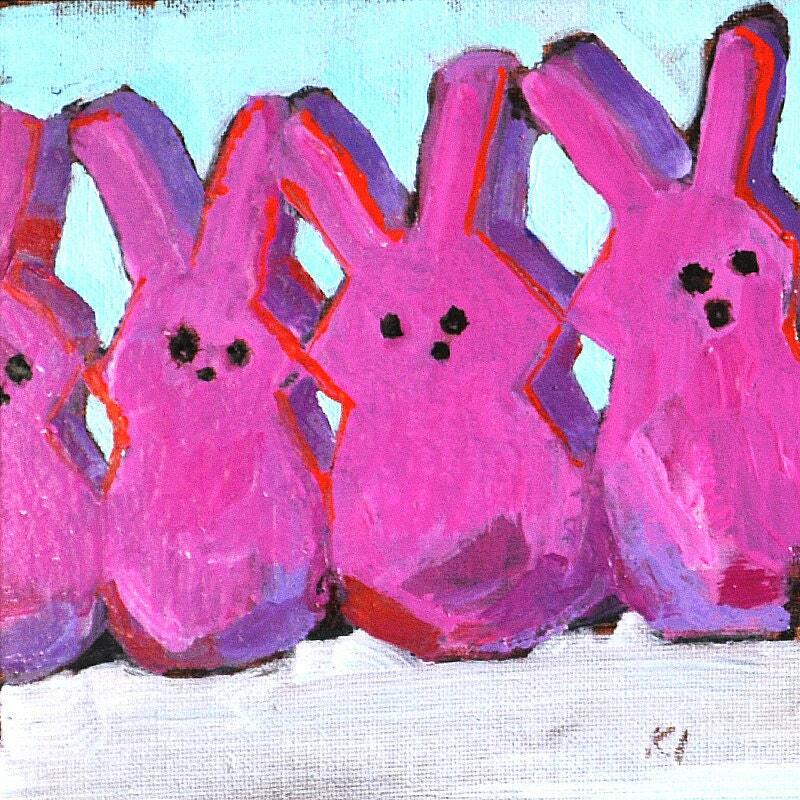 Easter Peeps Painting is for sale. Drawing of Dana Point from the pier in San Clemente, California. We were trying to get to the outlet mall Saturday and my travel jinx* took over. Every time we tried to get to the 5 South we wound up on the 5 North. So we headed north along the California coast, aiming for San Juan Capistrano, but then we decided on beautiful San Clemente instead. *This happens from time to time- though usually when I am driving- and I wind up going in huge circles before finally winding up somewhere I may not have intended to go, but where it turns out I am glad to be.